Hello and welcome to singing tuition with Helen . I am a professional singer, teacher and composer. I come from a family of singers and voice teachers and I love all types and styles of singing. I enjoy helping people from all areas and walks of life with all levels of ability. I am an established teacher with more than 20 years of experience having successfully taught adults and children from beginner to professional level. I am a professional vocalist and teacher and I have worked in the chorus at Covent Garden and in West End musicals. 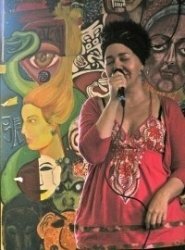 I sing/teach soul, jazz, blues, classical, R&B and pop using a tried and tested vocal method. I have worked as a teacher and a consultant for TV companies, theatre companies, colleges and schools across the UK. I teach beginners, and professionals including children, teenagers, senior citizens and people with learning difficulties and disabilities. I teach students of all abilities and levels. I believe in helping students to bring out the very best in their voices and their performance. Confidence is important and a good foundation technique increases your confidence in your own voice. It's amazing what you can achieve with your voice your if you have the right guidance and support. Breathing, posture, correct placing of the voice, vocal range (extending your range), dynamic range (loud and soft) all are covered stage by stage in your lessons. You can start with an assessment lesson with no obligation for further bookings. Just a chance to get to know me and the way that I teach. Also I have the opportunity to hear your voice and give you instant guidance. You will learn a lot about your voice and the way that it works in your assessment, most people see improvement even at the initial stages.